All homes currently listed for sale in the zip code 84102 as of 04/22/2019 are shown below. You can change the search criteria at any time by pressing the 'Change Search' button below. "This incredible historic home is located on an extremely private drive in the heart the city. Walking distance to Downtown, Avenues, and the University. The woodwork in this home is unparalleled. The kitchen is a chef's best friend, with pasta arm, Subzero and Wolf appliances with ample storage and countertop space- this home is an entertainers dream. Renovations in this home keep all the classic charm of the home while maintaining the modern functionality we all love today. Don't miss the opportunity to see this home "
"As far as warm welcomes go, it's difficult to beat the facade and front porch of a Colonial-style home. This particularly pleasant space, nestled up close to the University, boasts an entry that'll have you feeling at home in no time. 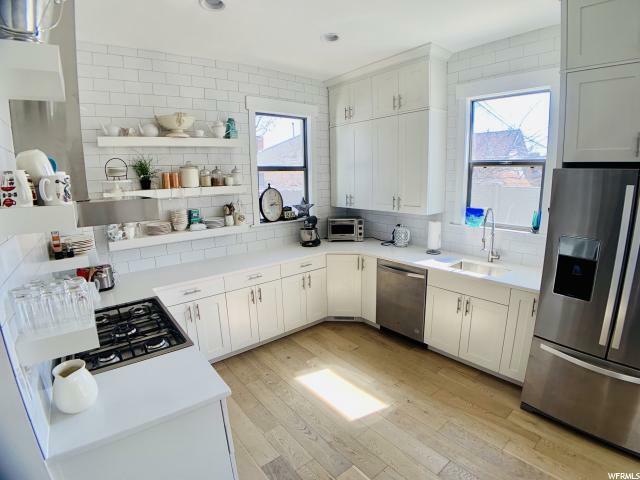 Inside, you'll find a stretch of thoughtfully laid-out living space, charming archways, lovely windows, and original woodwork, so good vibes are all but built-in. The kitchen's been fully updated (with a Wolf stove and Sub-Zero fridge), so you can easily whip up a dish and have a glass of something cold on a warm night (or vice versa). There are plenty of bedrooms throughout, each with enough room for any number of out-of-town guests. Need a minute to yourself? Downstairs is an ideal setup for a theater or game room. In a neighborhood like this one (and with a front porch like that one) you'll probably be spending much of your time out front, but the backyard space here is large, shaded, and properly outfitted for BBQs, lawn darts, and all other assorted outdoor shenanigans. For a sweet-home space in just the right place, best give this one a look-and soon. Square footage figures are provided as a courtesy estimate only and were obtained from appraisal. Buyer is advised to obtain an independent measurement." "Gorgeous Victorians such as this, w/ beautiful architectural features, spacious rooms, hardwood floors, high ceilings & skylights bringing in cheerful light on the dreariest of days, in such excellent condition and so conveniently located, are rarely available, especially at this price. The enclosed porch upstairs may not be included in square footage provided by SL Co. Another possible bedroom upstairs, has no closet. This sale is 1st first step in 1031 TD Exchange. Easy to show on short notice. " "Modern meets comfortable coziness in this one of a kind 3 story home/work of art. Take in the views of downtown all year long form the upstairs master suite. Or entertain in the newly remodeled kitchen. 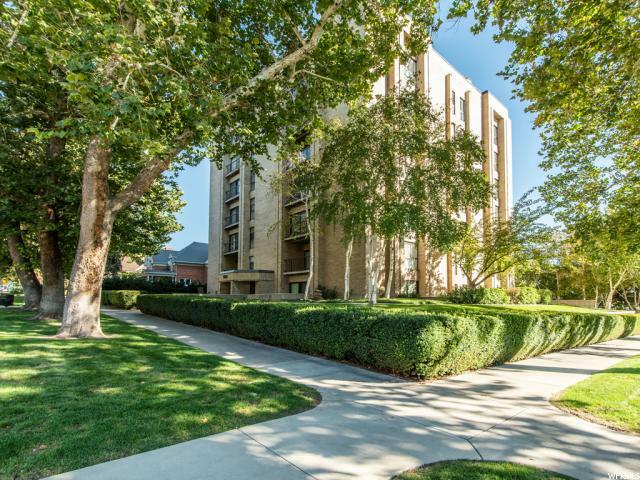 Obviously close to everything you'll need, nestled in-between the U of U stadium and Trolley Square. Updates include: Hot Water Heater - Furnace - Kitchen. Get in now for a private showing!" 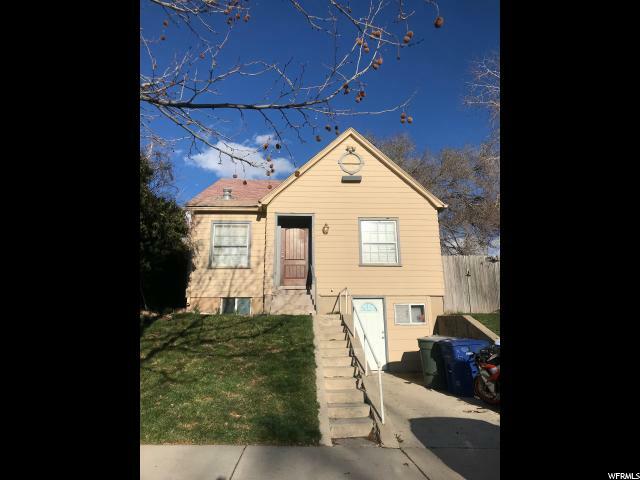 "Classic 2-Story Grand Home located 3 blocks from the University of Utah!! This well maintained 7 bedroom, 3 bath home has high ceilings, original hardwood floors, stained glass windows, beautiful wood doors and moldings! Main Level features a large living space with fireplace, updated kitchen with stainless steel appliances and ceiling height cabinets. All bathrooms have been updated. Bonus Mother-n-Law has a separate entrance, newer kitchen and laundry. Great opportunity for extra income! Plenty of parking for 6 cars! Owner has completed SLC Landlord/Tenant Program. 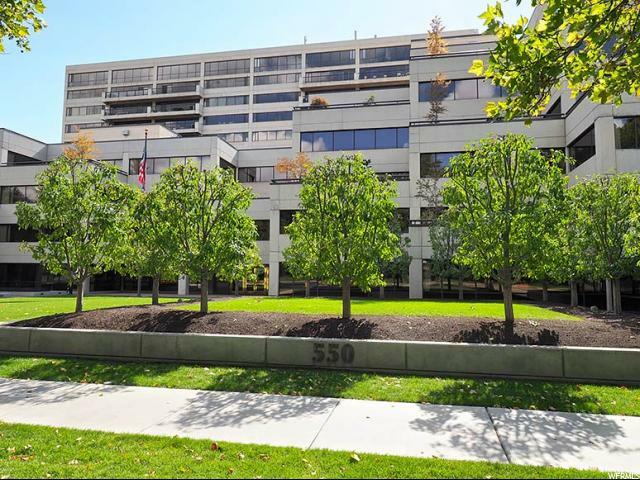 Don't miss out on this great location! Home has Google Fiber. " "Desire...has it been your desire to live in the heart of the stylish 9th & 9th district? 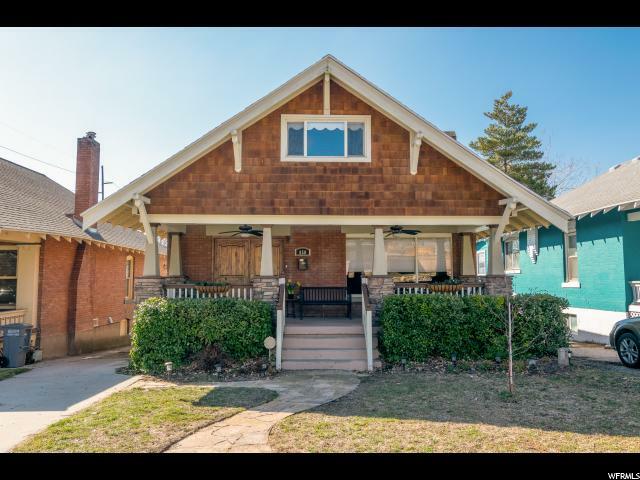 It's not every day you find a pristine Craftsman Bungalow with this amount of space and updating! 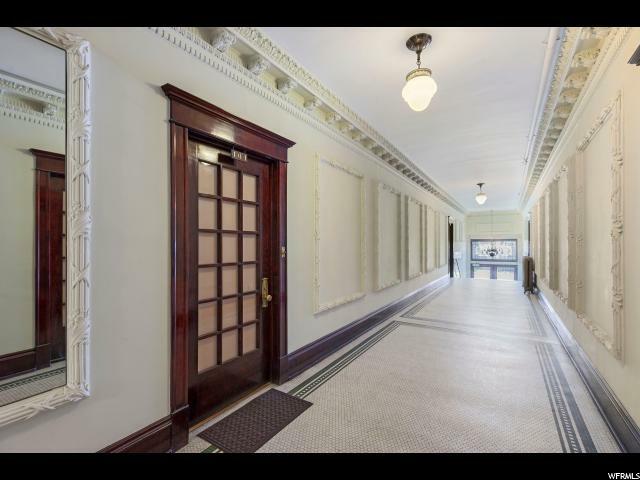 This fantastic home boasts high ceilings with crown molding. Fabulous hardwood floors flow throughout the entryway, living room, dining room and master bedroom. Relax after a long day in the huge, jetted soaking tub. The kitchen is attractively updated with granite countertops and knotty alder cabinets. It joins comfortably to the dining and living areas. A rare find indeed! The kitchenette/wet bar downstairs is perfectly situated outside of the theater room. The rear yard is quiet, secluded and perfect for entertaining guests on the large patio. It is also the perfect size for gardening with an amazing spot to grow delicious, juicy tomatoes. Not far away, the sidewalks of 9th and 9th buzz with energy as locals sip lattes and browse through the shops. Saunter out to enjoy a meal at one of the award-winning restaurants nearby. Relax on the delightful front porch, complete with two fans, while enjoying your morning cup of coffee or a glass of wine in the evening with friends. Be surrounded by the vibrant and engaging community. Moments from Downtown. The Tower Theatre and Liberty Park are strolling distance away! Brand new A/C. Furnace 5 years old. Very close to the University of Utah. 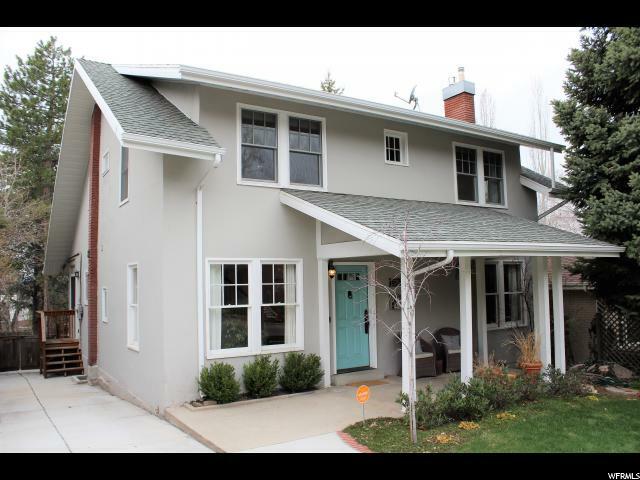 Don't miss this rare opportunity to own in one of SLC's most sought after neighborhoods! " 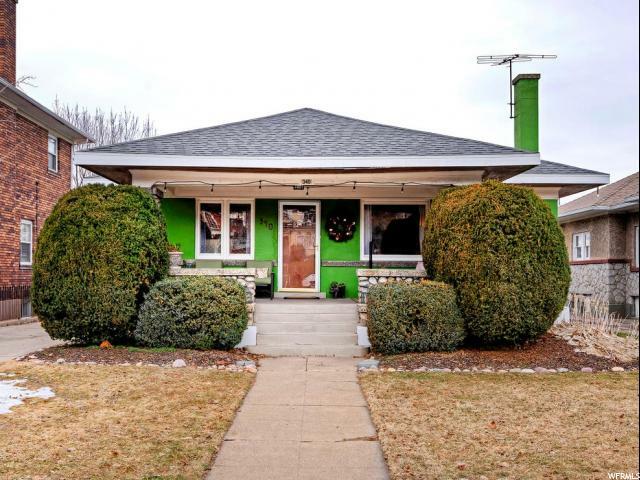 "We hope this arts & crafts bungalow doesn't start a stampede of buyers. That could be beyond our control once word gets out that this masterfully-remodeled home is on the market. 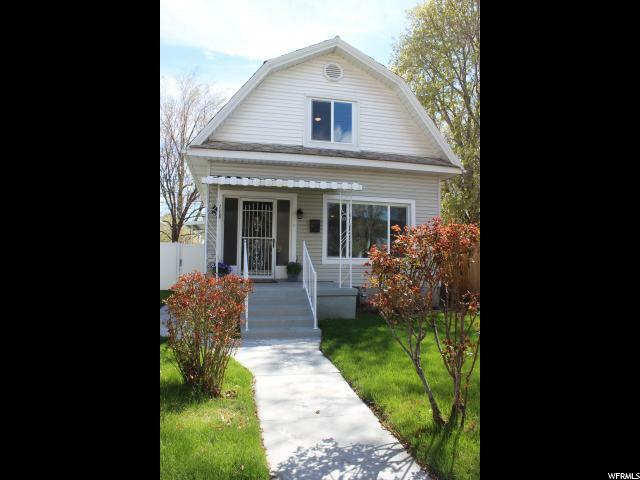 Located in Salt Lake City's University District, this home is within walking distance of the University of Utah. Stroll to eclectic shops and eateries in one of the area's most desirable neighborhoods. This home is dripping with charm and history. 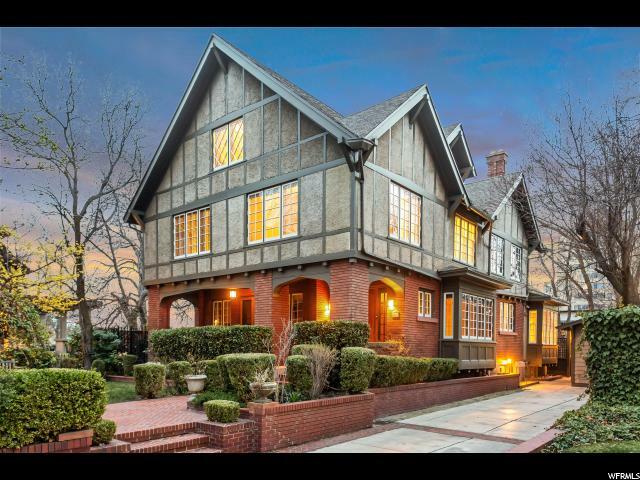 It features inspiring original hard wood trim, decorative lead glass windows and so much more. Sit on the huge front porch and sip lemonade or visit with guests in the formal dining room. Much of this home's natural and original beauty is preserved. The basement is fully finished! Rare tall ceilings make the downstairs so breathable and big windows brighten this homey space with natural light. Enjoy breakfast with a view of the sprawling valley. Great care was taken to decorate this historic house and you will be able to just see the love its owners have poured into it. Be sure to check out the Inglenook off the lovely living room. The stunning built-in storage throughout this home makes practical use of every square inch of living space. All plumbing and electrical is upgraded. A detached 2-car garage is perfect for storing autos, toys and tools. There is plenty of parking here and don't be fooled by the home's mid-century charm. This spectacular property is located within the Google fiber corridor. History and the future meet right here! The roof is solid, secure and completely re-done within the last decade. Contact us today for your tour of this completely remodeled gem." "Two separate lots SOLD TOGETHER or SEPERATE. What a unique opportunity to add a garage, build an investment property right next door, or a guest house. Sky's the limit. 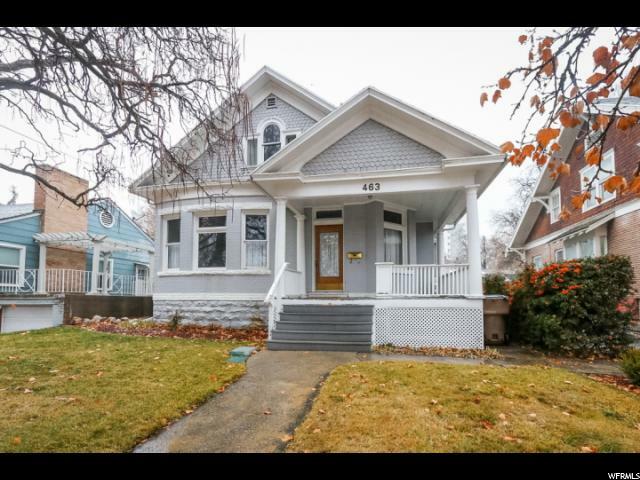 Right in the heart of Salt Lake's Historic District. The home on one parcel is 3-4 bedroom and 2 baths. So many upgrades as well as original charm inside and out. Large Flat lot with lovely mature Trees and privacy. Walking distance to Trax, grocery stores, parks, and incredible local dining. This listing includes parcel tax ID#16-07-232-022 MLS 1593954. Together the lots are .26 acre. 4th bedroom does not have a closet. " "COMPLETELY REMODELED! Don't miss a chance to come see this fully renovated historic HOUSE. 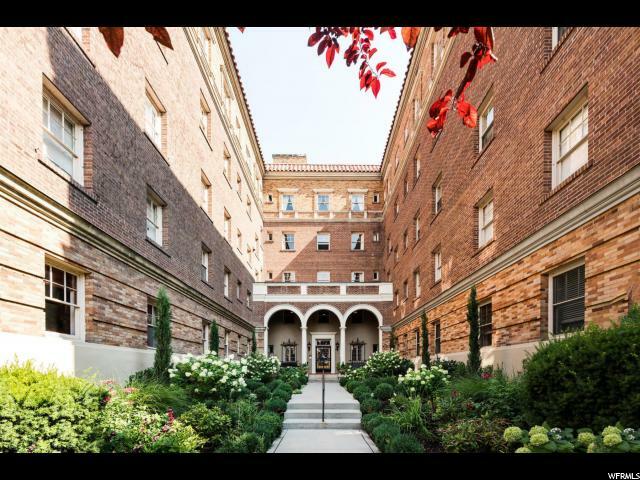 It is walking distance from Trolley Square, Liberty Park, Temple Square, the Avenues, 9th and 9th, and the Financial District. From beautiful landscape to modern bathrooms and kitchen, this home doesn't disappoint. Square footage figures are provided as a courtesy estimate only and were obtained from county records. Buyer is advised to obtain an independent measurement." 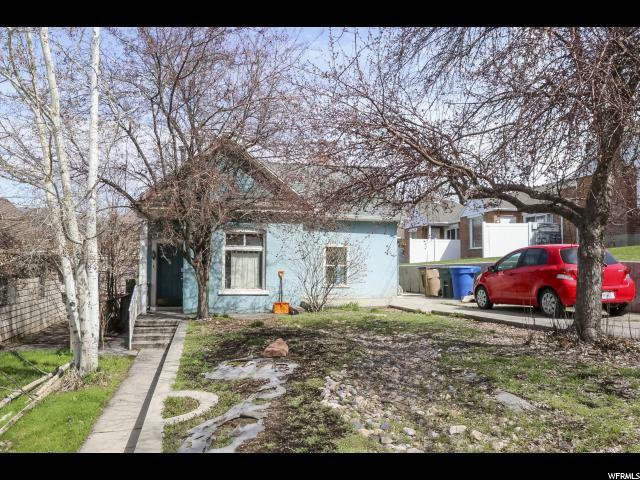 "Great optional investment property or family home near UofU! Single family with 2 additional mother-in-law units! One in basement and one in attic. Great upside potential! Near private and public schools! Nice fenced rear yard with deck!" 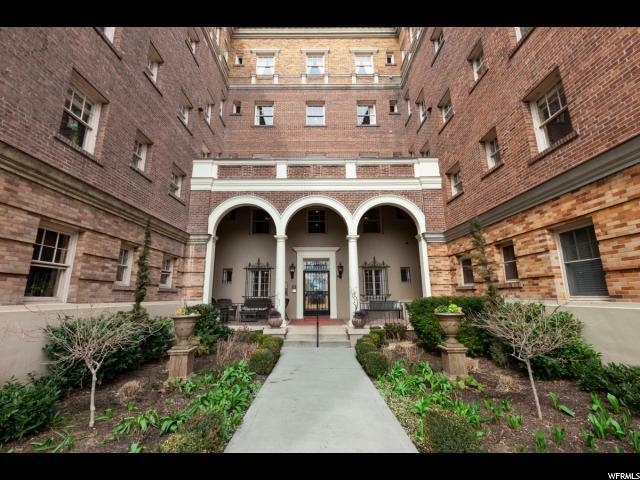 "This Historic Mayflower condo was designed by Slack Winburn in 1929 and is a perfect blend of character and function! 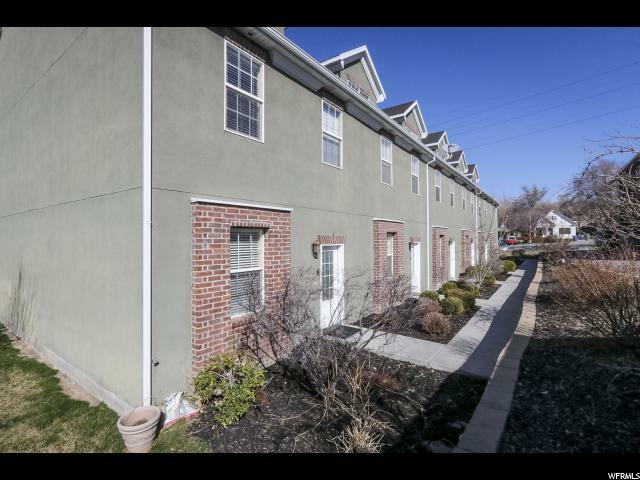 Beautifully situated on the doorstep of Federal Heights and the University of Utah, this New York style co-op apartment is one of Salt Lake's most sought after residential properties. The beauty of the home is abundant in rich hardwood floors, coved ceilings, archways, crown moldings and plantation shutters. With an inviting kitchen boasting granite counters. a walk in pantry and utility room, everything is designed for practicality! 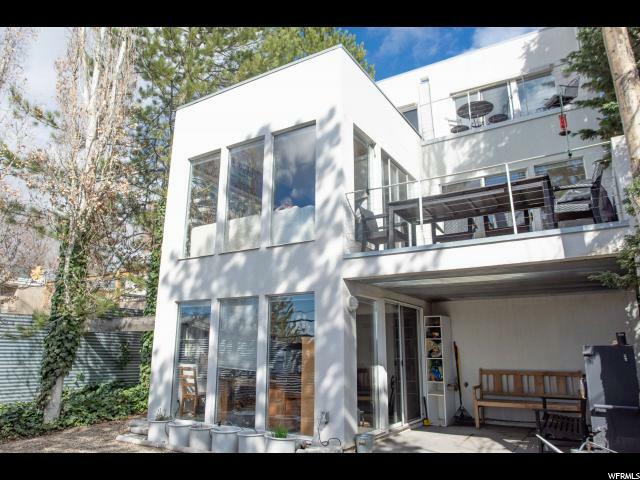 The two newer baths, three bedrooms and office, all look to the north and west views of Salt Lake City. The windows are charming and create sun splashed spaces throughout! With a full time live in manager, a private garage, gated elevator, beautiful entry and gardens this property is the perfect next step!" "Legal duplex with charming exposed brick, great views, amazing location. Upstairs rents for $1400/month and downstairs for $600/month plus utilities. Could be higher. Showings are subject to inspections. " "Price Reduced!! WOW...This Is Charming! 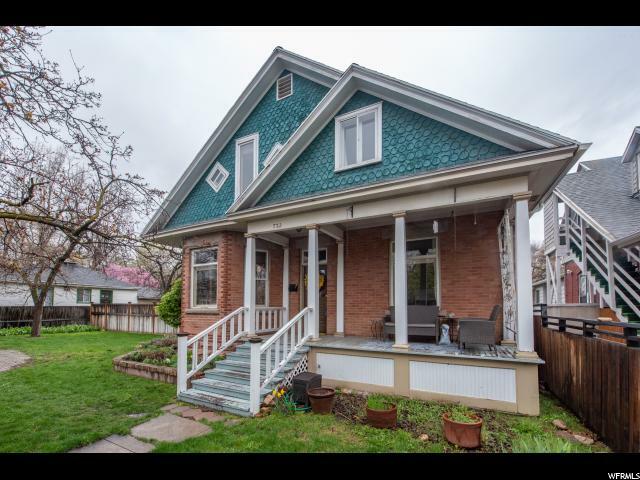 Renovated, Classic 2-Story Victorian. 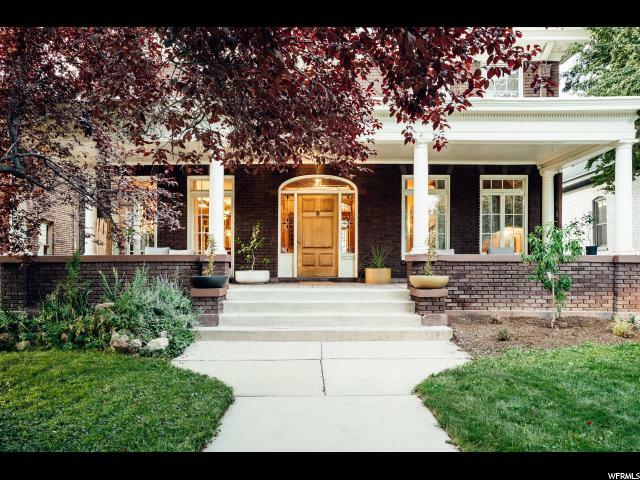 Rarely do you see a home this size, restored in this fantastic area, so close to 9th & 9th, Trolley Square, Downtown, Sugarhouse and the University of Utah. You will love the Newer Kitchen W/ prep bar, Hardwood and tile flooring. Beautiful F.P. & Mantle. Kitchen Nook As Well As Formal Dining! Truly An Entertainers Delight! This Gem won't last long. Call today for a showing!! " "Wow! 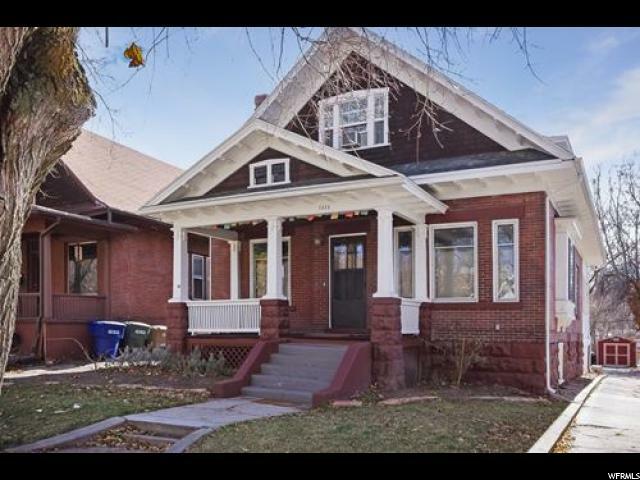 1909 charmer that has been completely, (yes completely), renovated and brought up to current standards! Walking distance to 9th and 9th, Liberty Park and Trolley Square, this IS the home you've been waiting for. The home has been in the same family for over 100 years and after a meticulously renovation, it is being offered for sale. You'll love everything about it! It features 3 bedrooms, 2.75 bath and the finishes are second to none. Get ready, here's a highlight list, but you really should just come and see it! Stunning carpentry throughout including a brand new quarter sawn oak staircase and railings. Amazing white oak barn door upstairs. Exposed brick in upstairs bathroom. Original 100 year old claw foot tub fully restored! Main floor master suite. Quartz Countertops and top of the line Blanco sink in an amazing white kitchen. Custom cabinetry with soft close feature. Stunning light fixtures throughout! Gorgeous new laminate flooring on the main! Upgraded carpet! ALL new electrical. ALL new plumbing, including the water line to the street! Slate roof that will last a very long time! Stainless Steel appliances! Walk in closets! Still not done yet...there's more! New cedar fence! Complete structural upgrade - special foundation cement over original rock and concrete foundation, new support beams and posts, and ALL new sheetrock replacing all the plaster and lath. R21 insulation! New premium paint throughout. All new baseboards, casings, window trim and seal plates. New LED lighting and brushed nickel fixtures. Brand new Pella double pane windows throughout. Brand new Lennox high efficiency furnace, central air and water heater. New toilets, vanity and fixtures. New doors, knobs and locks. It's just amazing! Old house charm that is completely new! And a one car garage and off street parking to boot! Schedule your private showing today before it's gone! Square footage numbers were taken from county records. 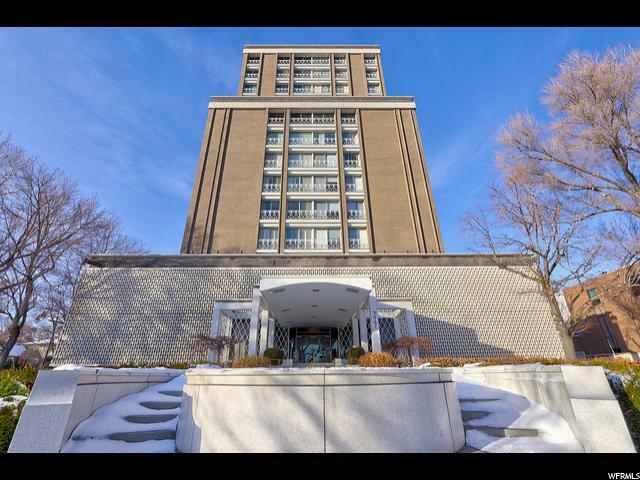 Buyer and Buyer's Agent to ve"
"Very nice condo. 6 total units. Built in 2007. Beautiful kitchen with granite countertops and stainless steel appliances. Hardwood floors. Spacious master suite with fireplace and deck. Large master bath & walk-in closet. Big finished loft can be 4th bedroom. Attached 2-car garage. Close to U of U, Trax, Westminster and 9th & 9th. Fabulous location. End unit. Currently owner and three room mates attending university. Appointment needed." "Live the high life.. in a 14th floor condo! This is located on South Temple and is in the middle of all the excitement! 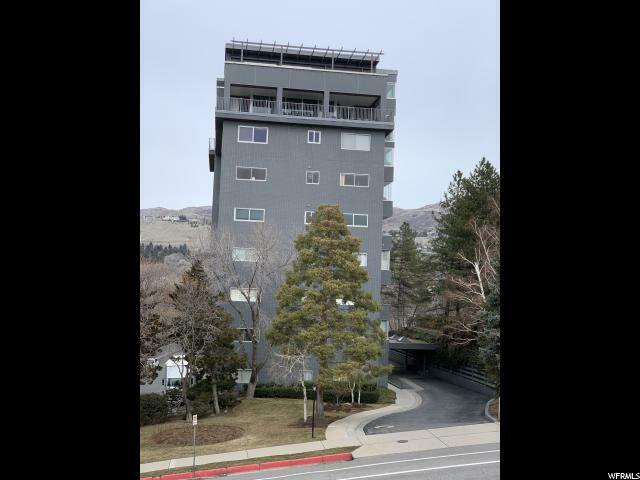 This two bedroom, two full bath condo has a breathtaking view of the city and the mountains! Completely remodeled in a modern style with new plumbing and electrical, and is also wired for Google fiber. It has deep soaking bathtubs with modern faucets and newly engineered white oak hardwood floors through the main living area with new carpet in the bedrooms. It has LED lighting with dimmers in the bedrooms and bathrooms. The kitchen has an oven/microwave combo, induction range, counter-depth fridge, and an integrated dishwasher. The cabinetry in the kitchen is custom and sleek. This unit also has 1 parking space in the 2nd floor garage and a 4'x4' storage area. There is also a pool, gazebo, and BBQ area. This condo won't last long! Parking space included is 14C on the second floor of the garage. Storage area is on hte lobby floor in the southeast corner. Storage space: A"